In the sport of mixed martial arts, Fedor Emelianenko is considered by many the greatest of all time or The G.O.A.T. The Russian mixed martial arts icon cemented his legendary status over the last two decades as the most dominant heavyweight in the history of the sport. In a remarkable 8-year span, fighting mostly with PRIDE in Japan, Fedor went undefeated, winning 26 fights (1 no contest), beating many of the most skilled combatants in the world. His combination of kickboxing and judo skills is unparalleled in his weight class. 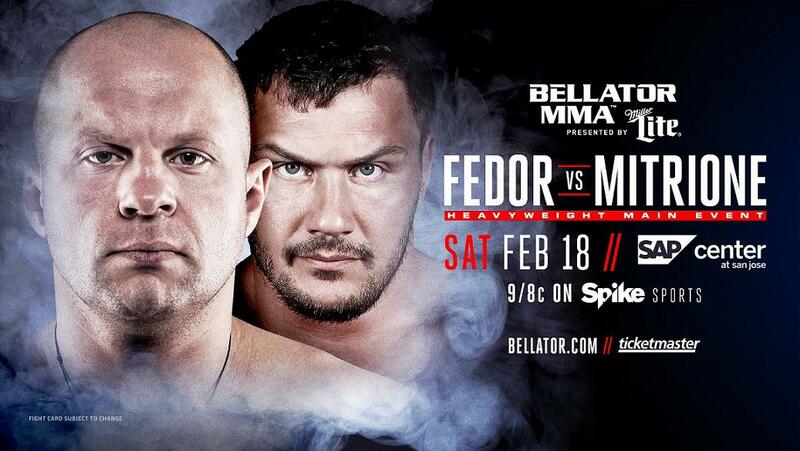 Fedor returns to fight on American soil after a 4-year absence against hard-hitting heavyweight Matt Mitrione at Bellator 172 on Saturday, February 18 from the SAP Center in San Jose, airing at 9:00pm on Spike. Before Fedor steps in the cage, Bellator and Spike TV give viewers a rare, inside look at “The Last Emperor” in an original 30-minute documentary, “Countdown to Bellator 172: The G.O.A.T,” premiering on Tuesday, February 14 at 12:00 Midnight ET/PT. From rarely seen PRIDE fight footage to a revealing sit-down interview to video of Fedor and Vladimir Putin, President of the Russian Federation, “The G.O.A.T” provides a unique glimpse into MMA’s most reclusive superstar. 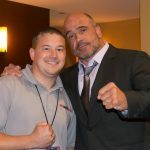 The MMA personalities featured include Randy Couture, Royce Gracie, King Mo, Stitch Duran, Big John McCarthy, and more.